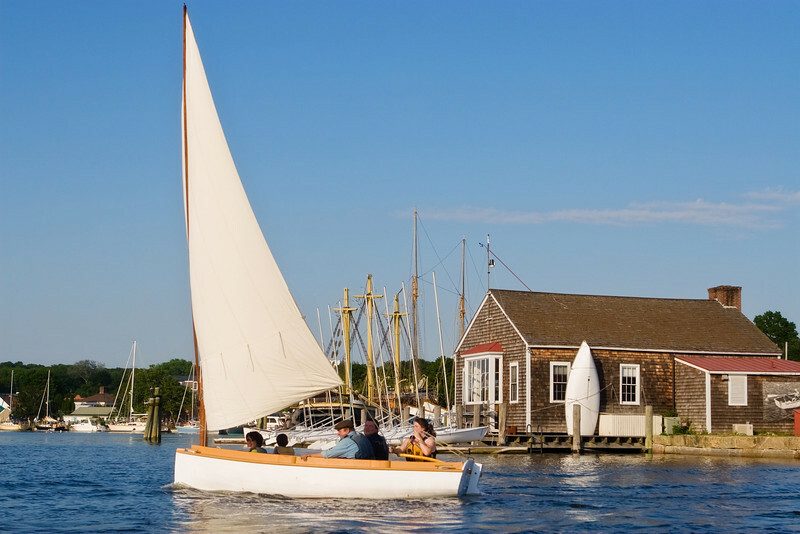 We have many rare and historic boats you can climb aboard at Mystic Seaport Museum. Some you can ride aboard or pilot yourself. Others you can charter for a few hours, a full day, or an overnight. Be sure to see the Museum from an entirely different vantage point! Board our 1908 steamboat Sabino for a unique ride along the waterfront of Mystic Seaport Museum or on a cruise down Mystic River. Want Sabino all to yourself? Visit our Charter Sabino page for information. 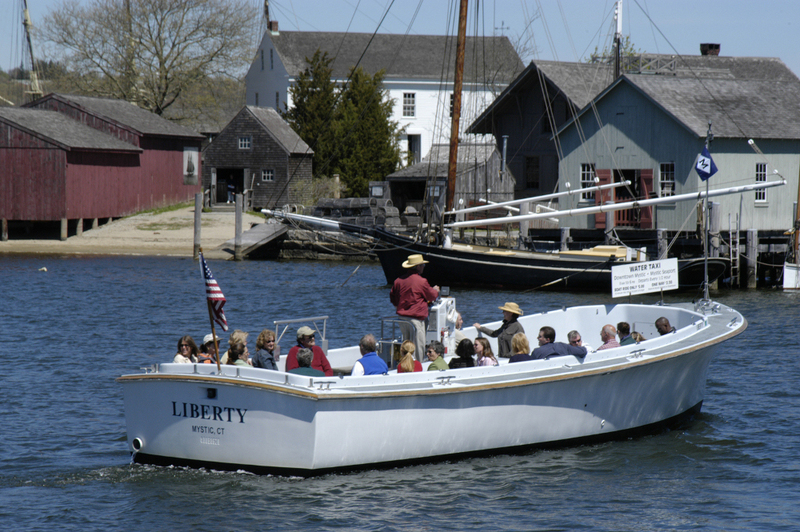 Enjoy a 25-minute cruise aboard the launch Liberty. Tickets are $4 per passenger for ages 4 and older (children ages 3 and younger ride for free) and can be purchased at the ticket booth near L.A. Dunton. Opens May 25 (weekends only May 25 – June 16). 10:30 a.m. – 5: 30 p.m. Rent a rowboat or sailboat to spend an hour exploring the Mystic River in a traditional small craft! Choose one of more than a dozen boats that vary in capacity from 2 to 5 people (plus a dog!). Boathouse staff will set you up with life jackets, oars, and other gear. You just need to step aboard to enjoy a trip out on the water. Yankee Pedaler: Take out a pedal-powered boat! Perhaps you don’t have rowing or sailing experience, but still want to have some fun on the water. This is a great opportunity to get out and explore the waterfront on your own. For 1-5 people for up to 15 minutes. $5 per boat. Opens May 25 (weekends only May 25 – June 16). 10:30 a.m. – 5:30 p.m. The Breck Marshall, a 20-foot Crosby catboat reproduction, provides a unique adventure beneath her billowing sail. During a smooth and quiet ride, passengers relax in her roomy cockpit while the skipper identifies points of interest on the Mystic River shoreline. $8 per person. Vessel has a 6-passenger capacity. The annual Beetle Cat and Portsmouth Handicap 10-week summer Racing Series begins Tuesday, June 25. Those with some small boat sailing and racing experience can register to rent one of the Museum owned Beetle Cats for the series, or join us at no charge with your own boat. Meet at 5:30 p.m. at the Boathouse. Round the buoy racing between Lighthouse Point and the drawbridge begins at 6 p.m. and continues until sunset. There are generally one to five races per evening depending on conditions. The Boathouse launch acts as the committee boat. To register and reserve a boat for the series for one to two people, contact Central Reservations at 860.572.5331 or reservations@mysticseaport.org. For additional information or if you would like to join the races with your own boat, email Dawn Miller, boathouse supervisor at dawn.miller@mysticseaport.org. From June to October, book a four-hour cruise aboard our lobster yacht Mamie, or a two-hour trip aboard our launch Breake of Day. A captain is provided and each vessel accommodates up to six passengers. Mamie will explore local waters and can provide the opportunity for swimming, beach visits and even a stop for lunch! Breake of Day offers a scenic cruise along the Mystic River. 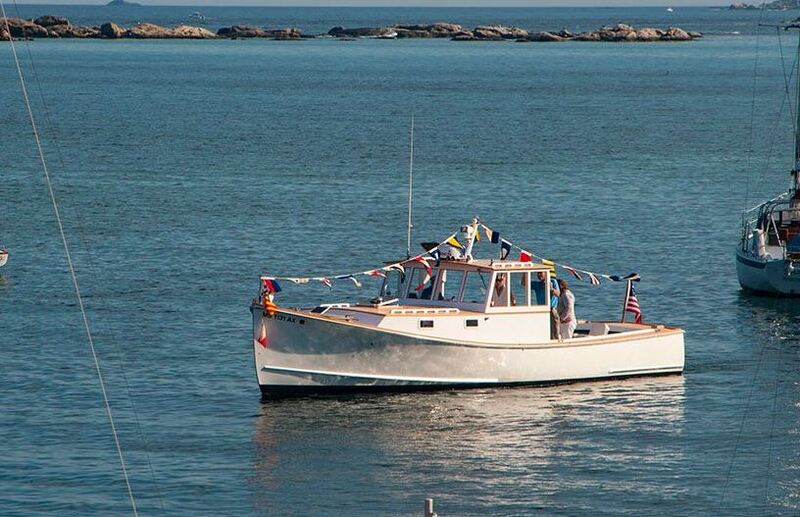 For a truly special event, charter the 1910 launch Gramp for up to three guests. Sit back in wicker chairs while your captain steers and you take in the sights along the Mystic River. Perfect for that memorable marriage proposal or special celebration. Visit www.mystic-yacht-charter.com or call 401.678.6740 for reservations and information on Day Charters. The Boathouse is open May 25-October 14, 10:30 a.m. – 5:30 p.m. The Boathouse is open weekends only May 25 – June 16 and again from August 31 to October 14.